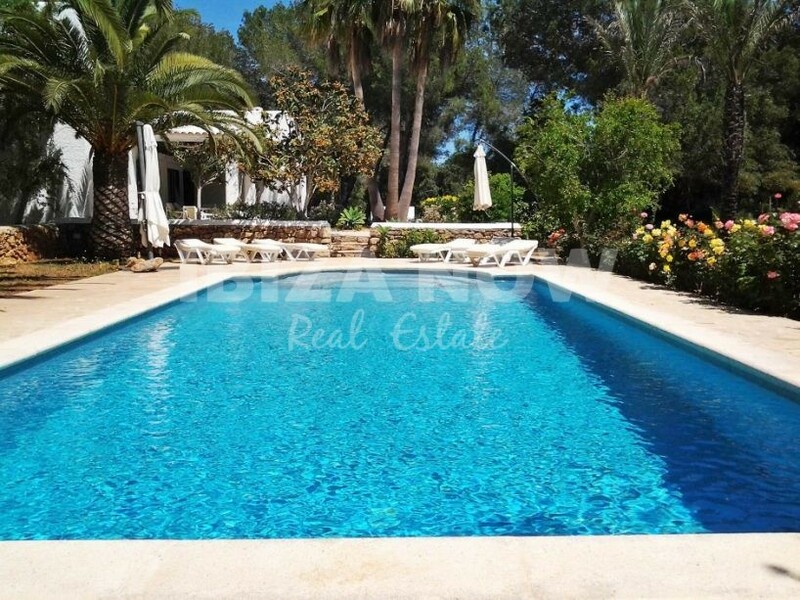 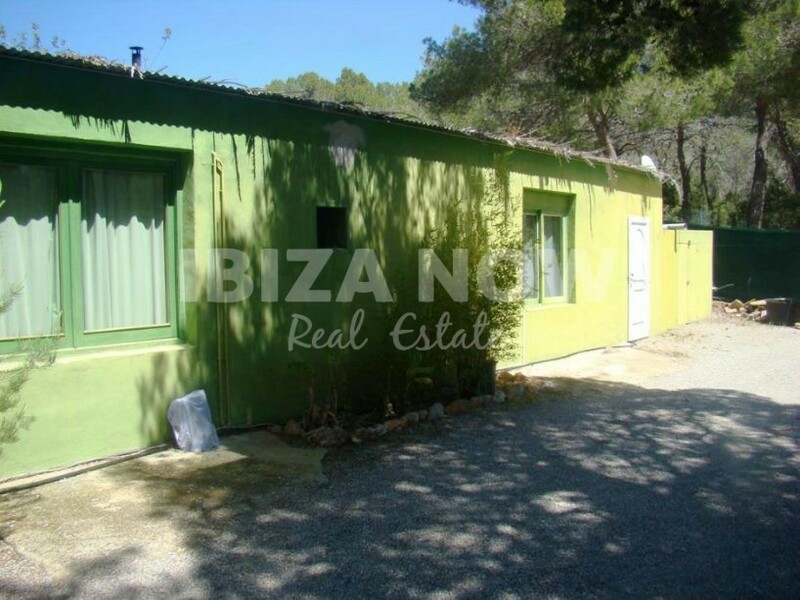 Charming Ibiza style property for sale in San Carlos, Ibiza. 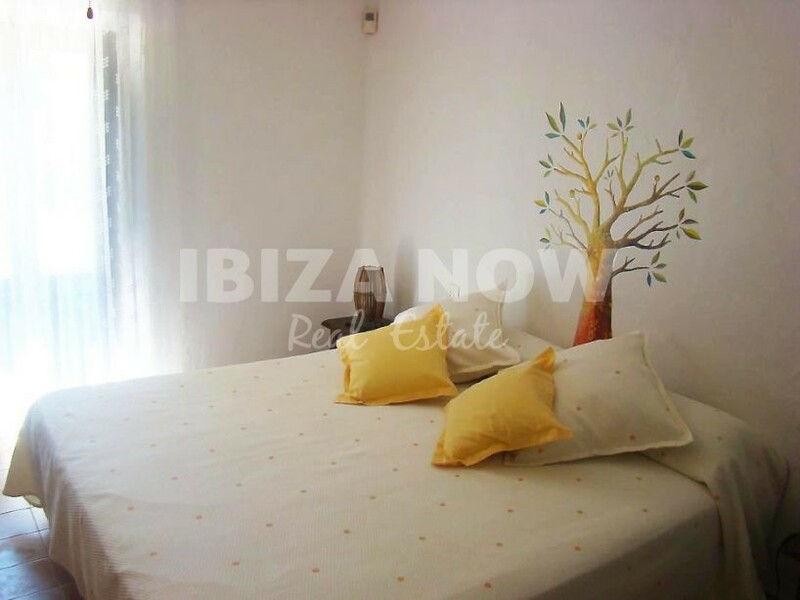 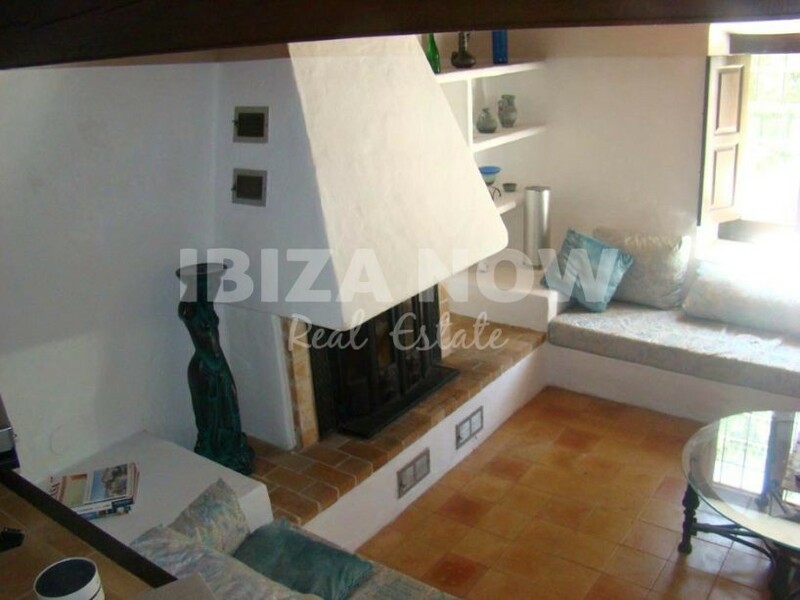 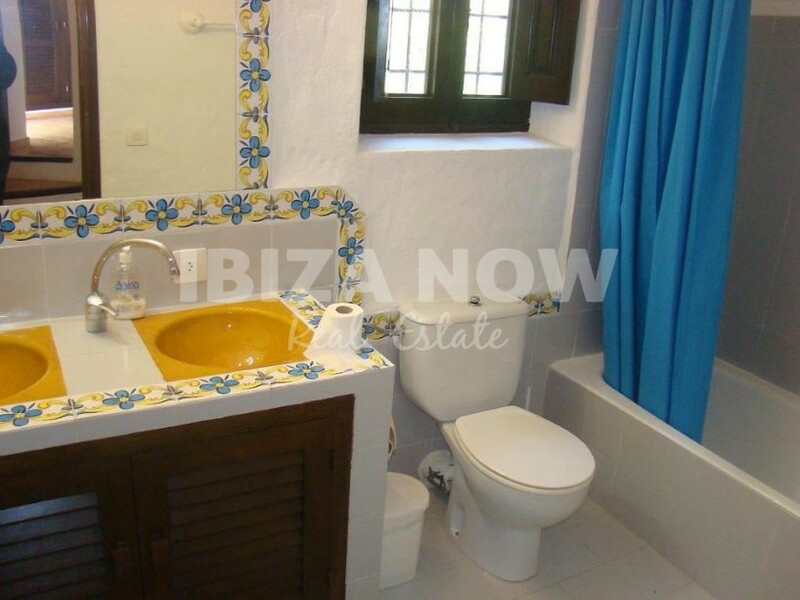 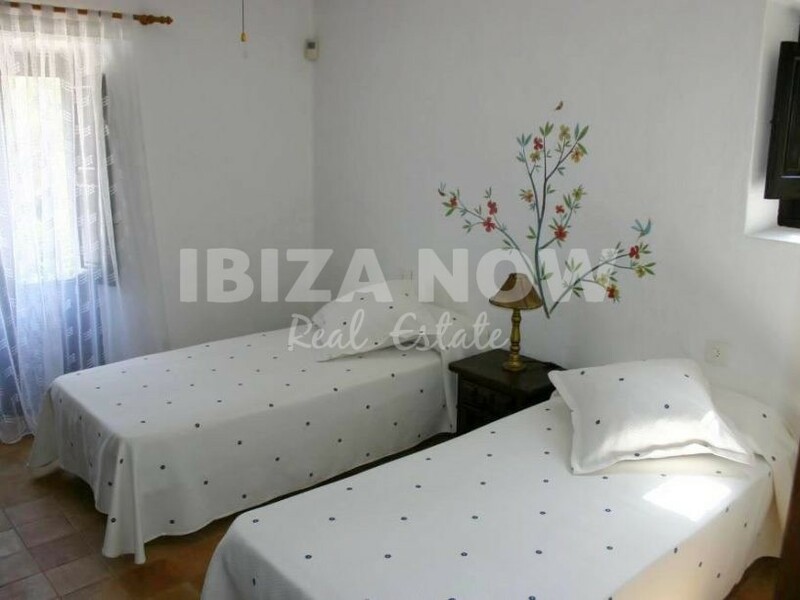 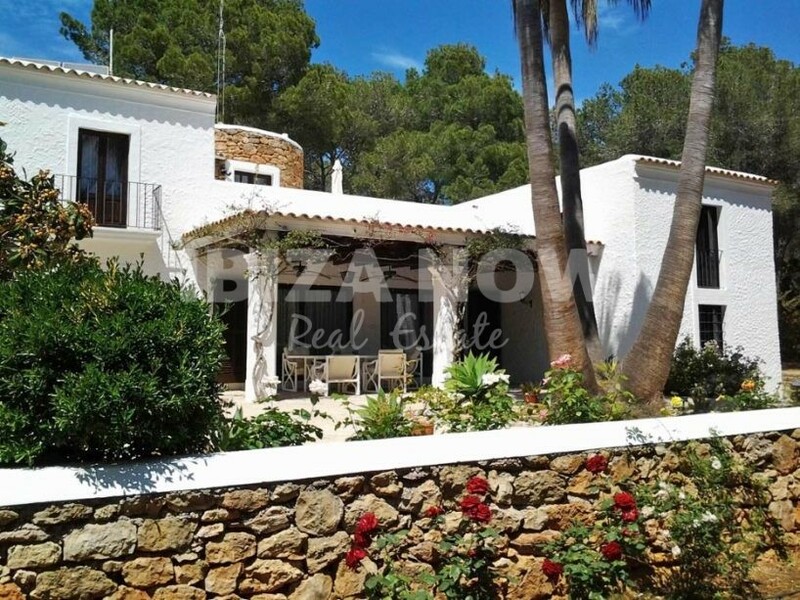 This charming Ibiza style property is located in a quiet area and close to the beach. 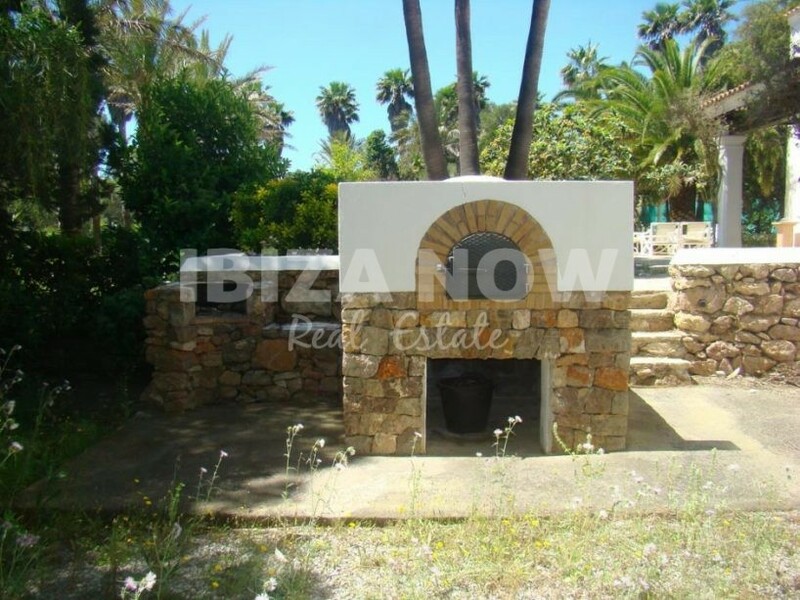 Set on a plot of 14.236m2 and with 200m2 constructed divided over 2 floors, a stone tower, plus a guest house of 70m2. 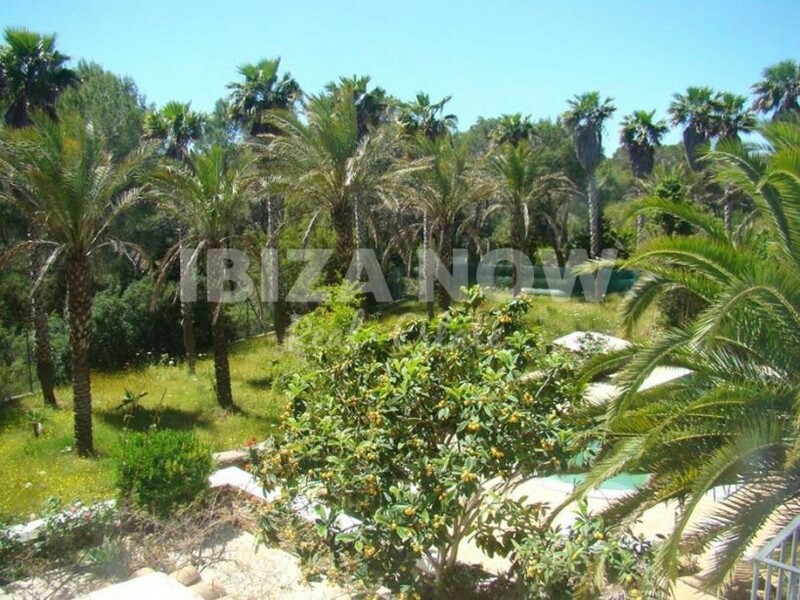 The plot is totally fenced and filled with Palm trees, date palms, and pine wood. 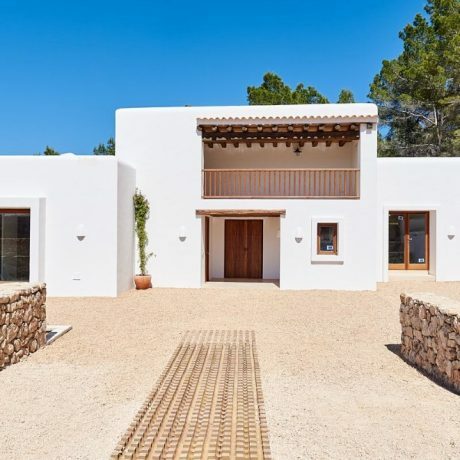 As for the construction, we can say that this is a very solid construction and well build. 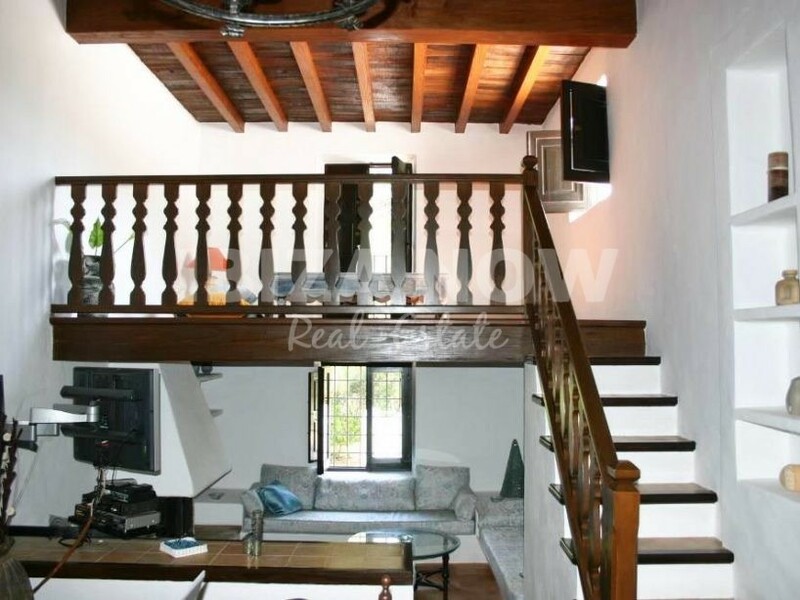 Walls are 80cm thick and inside we find some nice authentic features such as beautiful wooden beams and thick white walls. 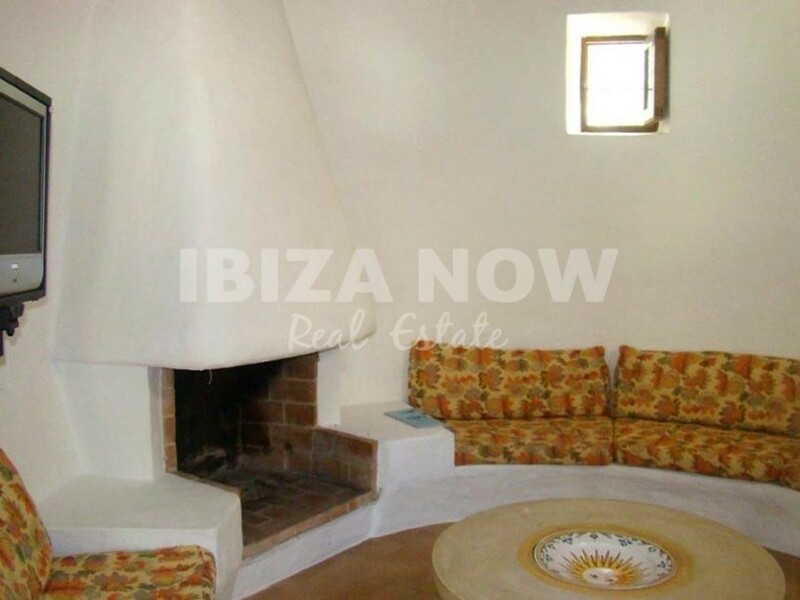 On the ground floor, we find 3 living areas, two of which have a fireplace, one is situated in the living area next to the kitchen area, the other is located on the mezzanine and the 3rd living area is in the tower and also has a fireplace. 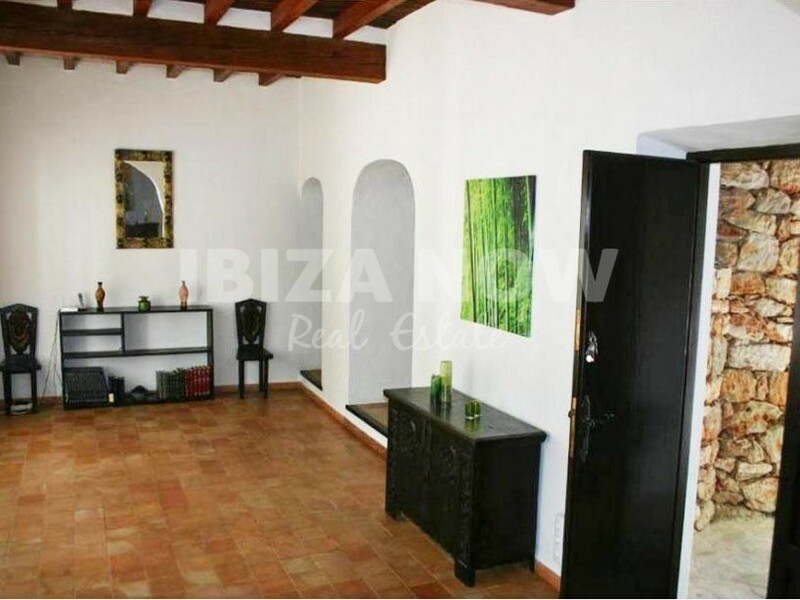 There are 2 dining rooms, one is next to the kitchen and the other at the entrance of the house, from here you have access to a large outside porch overlooking the pool and garden. 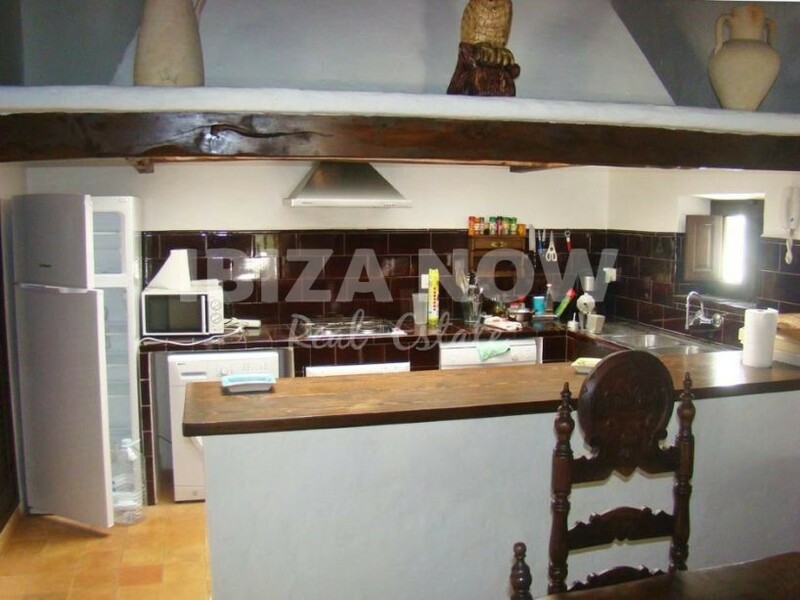 Furthermore, we have a typical Ibicenco style kitchen, fully equipped and with lots of Natural light and with authentic wooden beams. 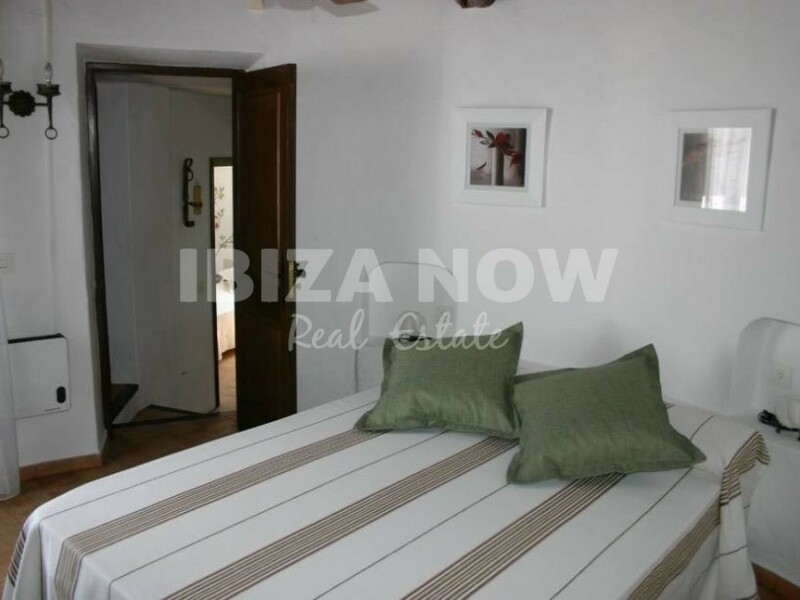 1 double bedroom with built in wardrobe and with exit to the outside area and 1 bathroom. 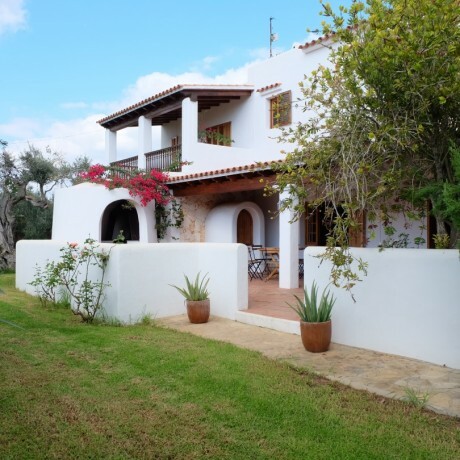 On the upper floor, we find 2 large bedrooms with fitted wardrobes on1 bathroom and access to the outside area. 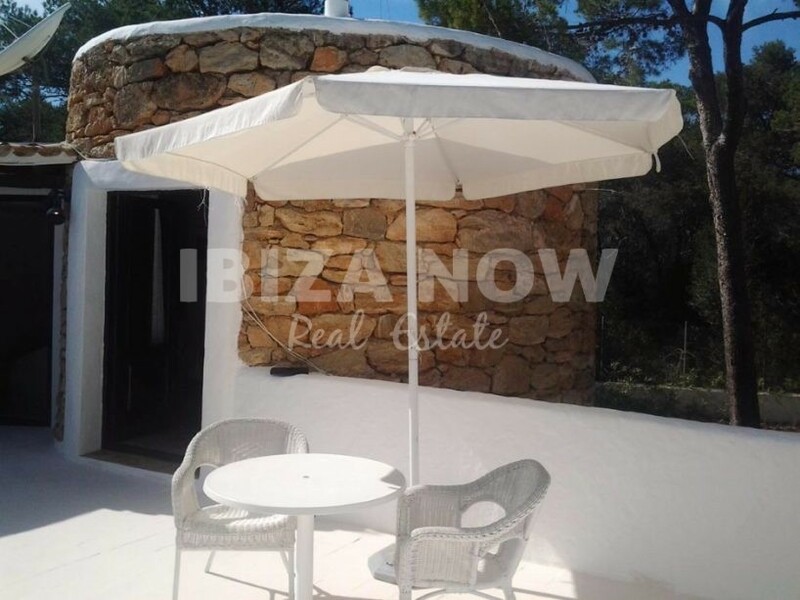 Then there is a large furnished porch and dining area. 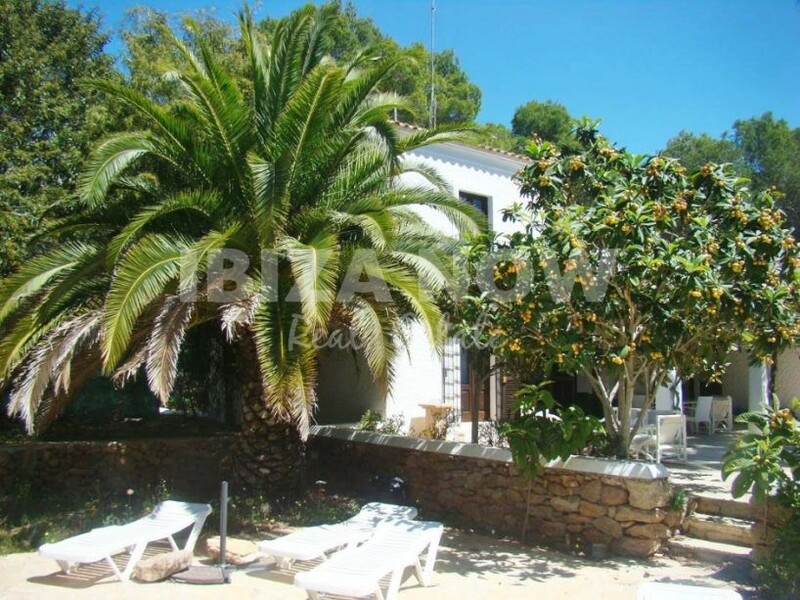 The guesthouse offers 70m2 and a terrace of 25m2 and has a living area, dining area, kitchen, 2 bedrooms, and one bathroom. 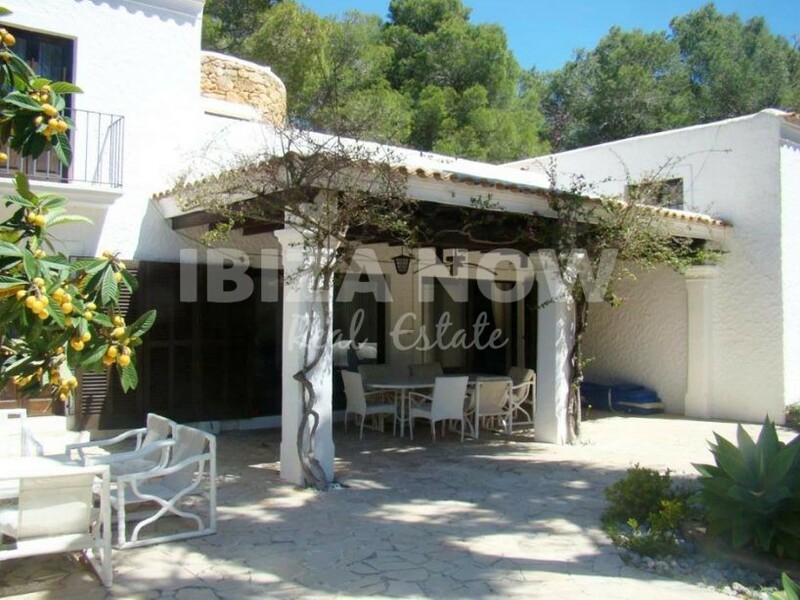 As for the outside area, there is a pool of 56m2, tropical gardens, Old Style Ibizan over of lime, bbq, and grill. 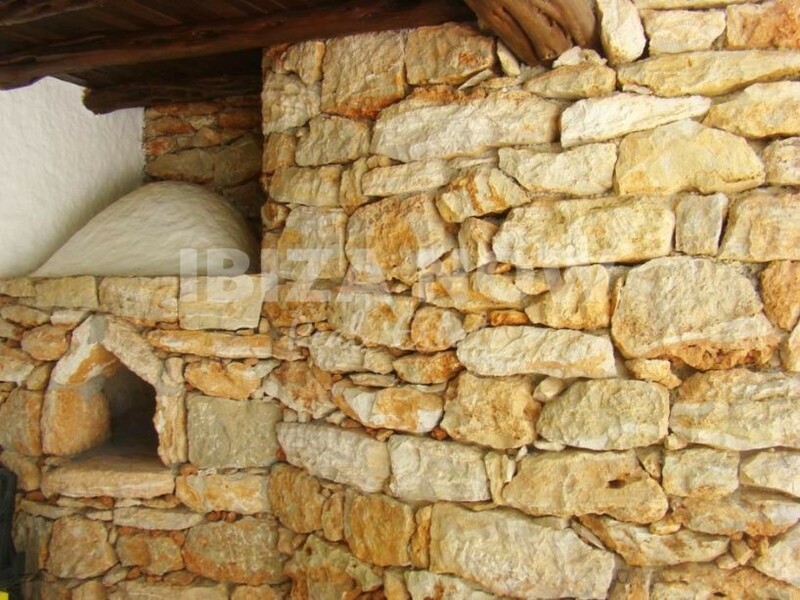 The property has its own borehole and well to store water.